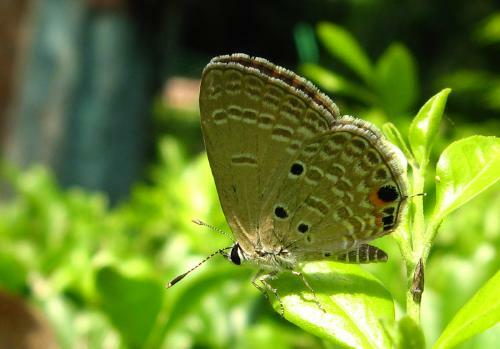 In 2010 I only saw this butterfly in Kolkata, where it was perching on hedges in a park. 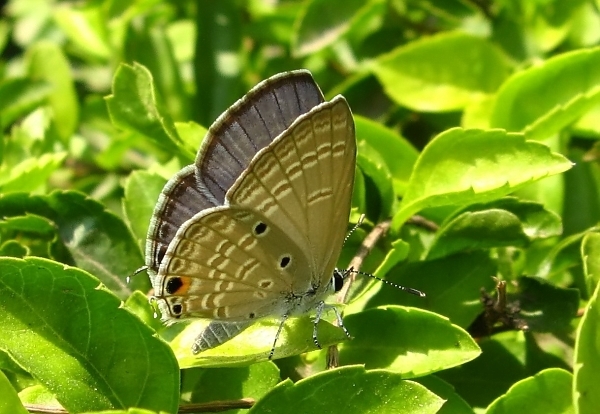 Although it wasn't uncommon there I didn't see any when we went further south, to Mysore and Ooty. 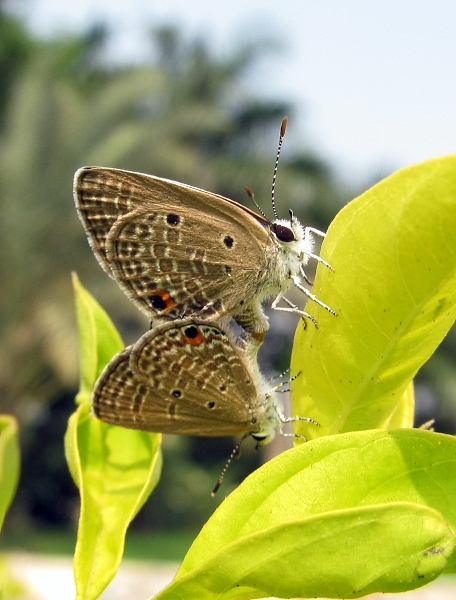 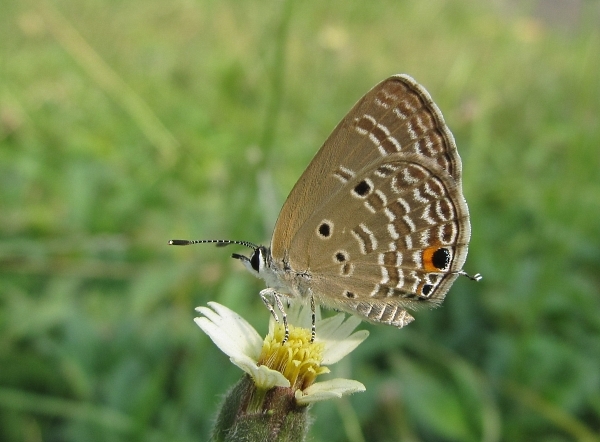 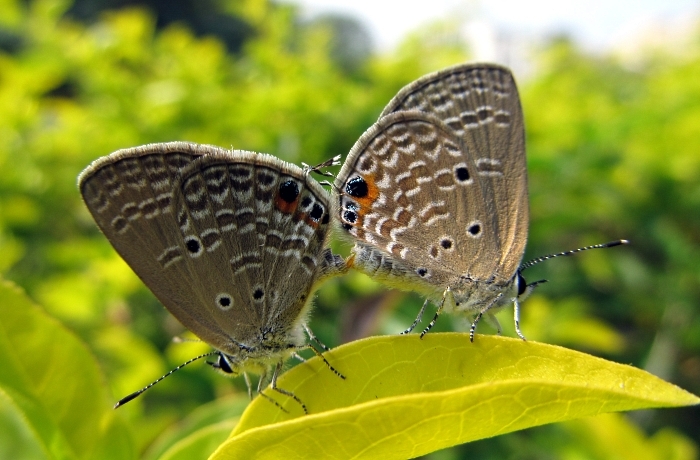 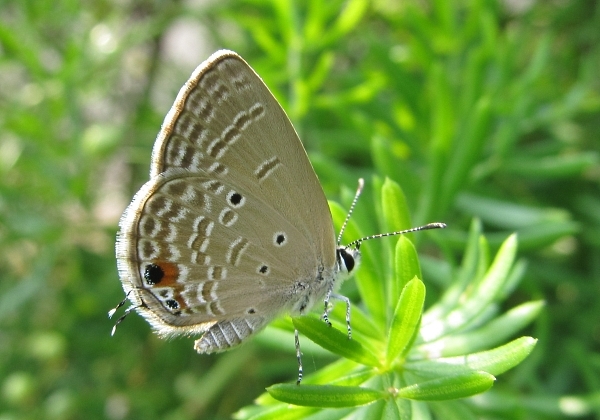 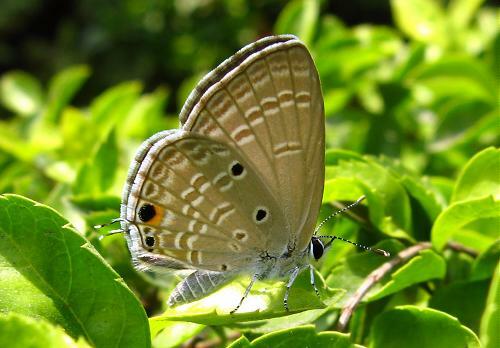 In October 2012 I found it commonly in Mumbai and Tirupur - in fact, it was one of the commonest blues I saw on my trip.